California Film Institute - The Last Dalai Lama? 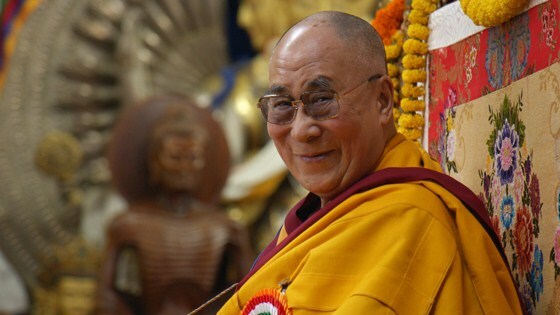 Simple monk and geopolitical rock star, His Holiness the 14th Dalai Lama has transformed spirituality, neuroscience, and education by adapting ancient Tibetan Buddhist practices for a secular world. Mickey Lemle (Ram Dass, Fierce Grace, MVFF 2001) updates his 1991 Compassion in Exile with this intimate look at the good humor and enduring wisdom of His Holiness, now 81. Archival and new footage, plus Compassion in Exile clips, trace his incredible journey from Tibet to the leading edge of neuroscience and heart-mind education. With great concern for our global health and wellbeing, His Holiness promotes compassion and mind training to tame destructive emotions. Gradually preparing for his eventual death, he vows to reincarnate. Whether he will return to serve as the 15th Dalai Lama or elsewhere in the world remains uncertain. Nonetheless, his consciousness lives on in his teachings and in each of us. Original score by Philip Glass and Tenzin Choegyal. Producer/Director Mickey Lemle’s multi-award winning documentaries include: The Other Side Of The Moon; Our Planet Earth; Compassion In Exile: The Story of The 14th Dalai Lama; Hasten Slowly: The Journey of Sir Laurens Vander Post; Ram Dass Fierce Grace, which Newsweek Magazine named one of the “five best non-fiction films of 2002”; and The Last Dalai Lama? For the past 18 years, Lemle has been Chairman of the Board of the Tibet Fund. 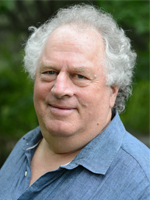 Mickey Lemle has been named “Cinemas Soul Man; One of the 40 Artists Who Shake the World” by The UTNE READER.